I wish more people watched NBC’s Parks & Recreation. I readily admit that its height of brilliance was seasons past (particularly Season 3), but there is something terribly, wonderfully earnest about this show that makes it at once hilarious and whimsical, ironic and sentimental. It’s one of those rare shows that, even at its least remarkable, somehow still merits adoration. There are very few pieces of entertainment that inspire me both viscerally and personally. Parks manages to do both and more: It restores me spiritually. Of course, I could talk about its empowering, female-centric conceit. The way it filters macro politics through a meso lens without becoming glib or pedantic. I could mention its real protagonist: The eclectic town and recurring townspeople of Pawnee. All of these are true, all of these are great reasons to tune in every Thursday and fall in love once a week. Moreover, these reasons give it the critical legitimacy that discerning viewers look for. But in truth, Parks is – for me – a way of understanding my own adulthood while remaining a child. (My life’s most prevalent conflict.) This show is about being infinite, about feeling big in a way that only innocence and faith and one’s capacity for joy can bring us. It is so remarkably difficult to remain innocent, to have faith and experience joy once we hit a stage of development that coerces us to prize skepticism and security, to privilege the practical over the profound. I’m often, maybe even mostly, torn between fantasy and feasibility. Yet I never loved Full House as a kid. Family television rarely made much emotional sense to me. They represented a fantasy I could not relate to, did not desire. Even as a kid, I didn’t expect my conflicts to come tied in neat bows, my characters to be ready for adversity. Half an hour a week is not enough time for a leopard to change its spots. Parks avoids that kind of astronomical, asinine growth in people. It respects its characters too much to change even the worst of who they are. Or, I should say, it avoids compartmentalizing its characters into good and bad parts. Everything you love most about them can’t really be separated from all that you like least about them. This is how people appear to us in real life, and it’s a delicious frustration to explore onscreen. We are rarely shown a creator’s love for his creation, but this is one show where that love is ever apparent: It’s obvious how much the writers and actors cherish these characters they’ve brought to life. But amidst this real, holistic and loving presentation of personhood is a show about heroism. 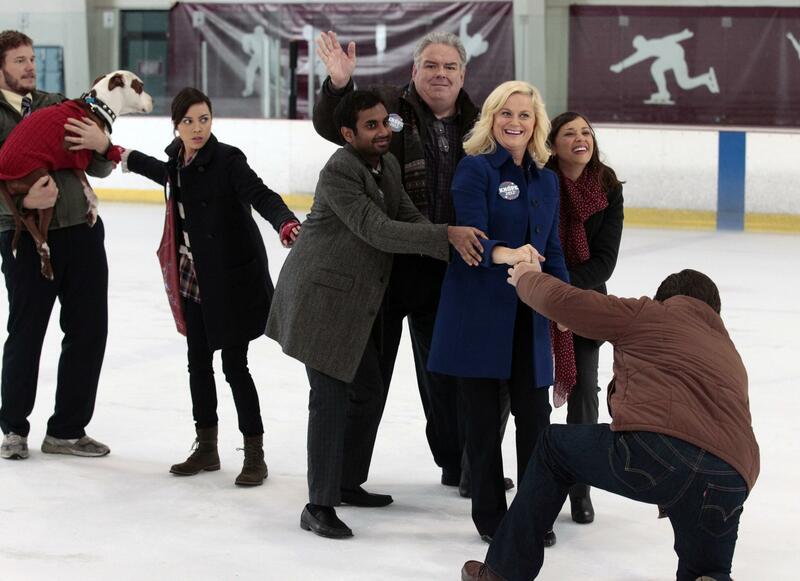 Sure, it’s about Leslie Knope’s indefatigable leadership and optimism and goodness, but it’s equally about the big and small ways her friends and coworkers support her and one another. My favorite Parks moments involve little acts of kindness acknowledged by only a few other people, or (even better) by only the camera. True heroism does not demand to be seen. True heroism is content to simply be. This is joy. And it is yours to be had.